As always, it was wonderful to meet Mr LK Advani, the tallest leader of the ruling party BJP, along with my remarkable high school toppers and team members. Mr Advani was delighted to meet with the students and congratulated them for their exceptional achievements. His continued support over the past many years is as humbling as it is inspiring. 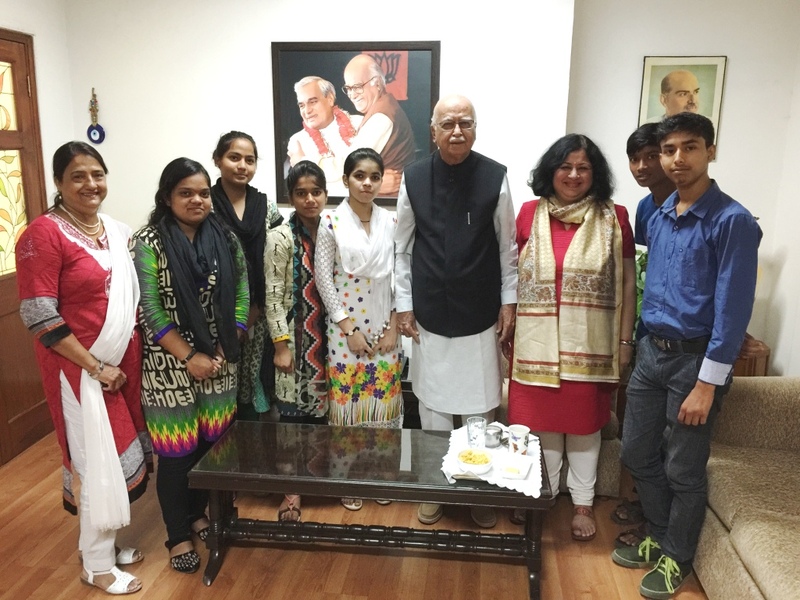 Whilst Asha’s high school toppers shared their journey so far, Mr Advani encouraged them with instances from his own life. He told the students about his early years, his hardships, and spoke freely about some of his challenges. He had wonderful words of encouragement for each student, and wished them well for the future. He offered them his best hospitality as well. “You have made yourselves proud, your families proud, Asha proud, and our entire nation proud. You are a wonderful example for our country,” he said admiring the students’ achievements. The students we thrilled at such a great opportunity!